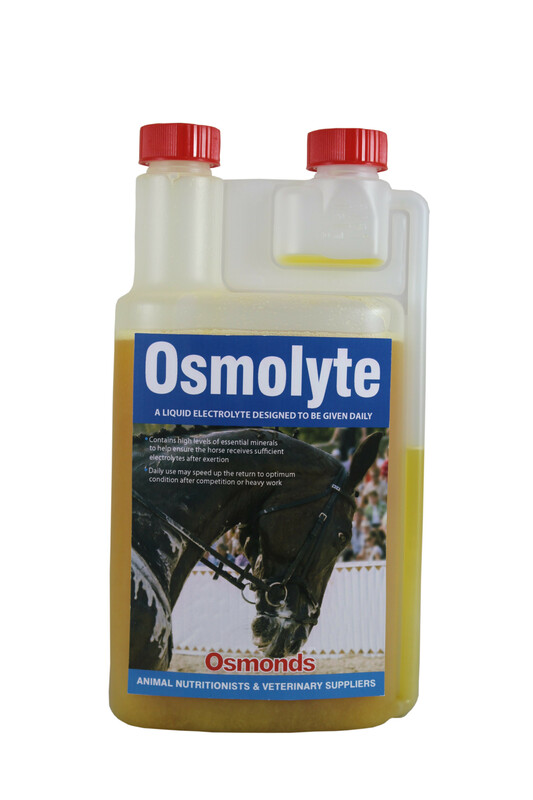 OSMONDS OSMOLTYE is a liquid electrolyte formulated for daily feeding. Contains high levels of the minerals Sodium, Chloride and Potassium, vital for regulation of the acid base balance and Magnesium and Calcium for nerve and muscle function. Zinc, Vitamin E and Selenium have also been included, along with Copper, to ensure vital elements are supplied to help maintain correct muscle function. 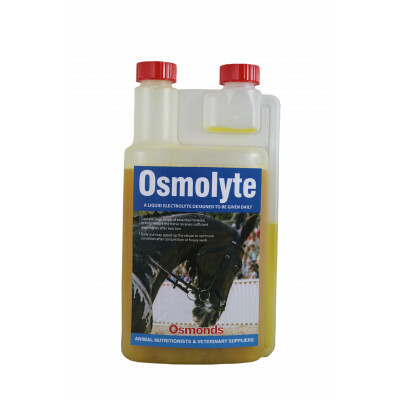 OSMONDS OSMOLTYE is an essential part of the diet for performance horses and daily use may speed the return to optimum condition after competition or heavy work, allowing the horse to recover and perform at maximal levels without a loss of performance. In the feed or in clean drinking water which should be available at all times. It is recommended that a specialist opinion be sought before use. DO NOT exceed 300ml per horse per day.